Get it for free!Our Healthier Than Takeout Ebook! Subscribe to the newsletter to get the latest recipe updates and our ebook! Thank you! Check your email for a confirmation link. Add [email protected] to your email contacts so that you don't miss it. Once you confirm, you'll receive a link to download the printable! 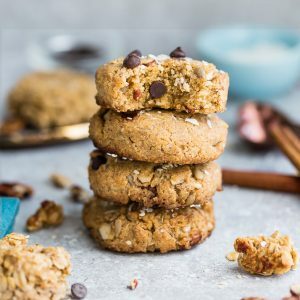 Keto Breakfast Cookies are soft, chewy and make the perfect healthy breakfast for on the go. Best of all, this delicious sugar free recipe comes together in one bowl with almond flour, coconut flakes, sesame seeds and chopped nuts. Gluten free grain free and paleo friendly. Fridays call for cookies. Breakfast cookies that is. 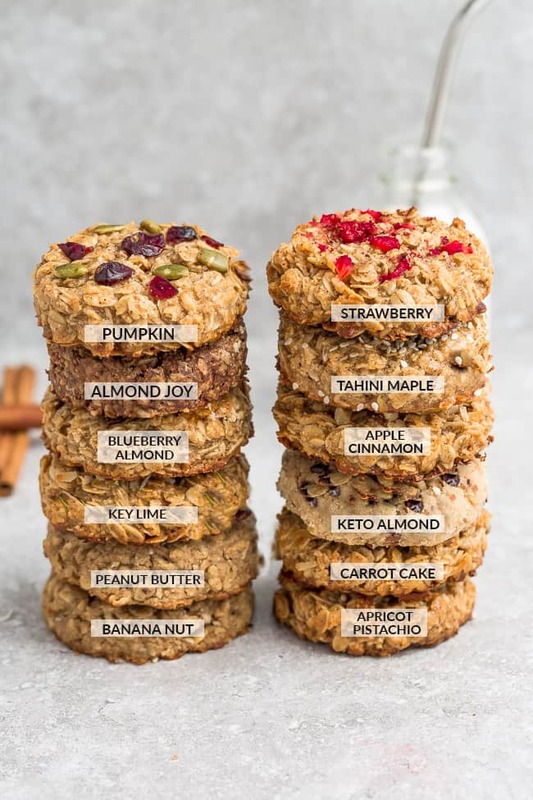 Since you guys are absolutely loving these 12 Breakfast Cookies I shared a couple weeks ago, I’ve been slowly trying to give each of those recipes their own post along with the nutritional breakdown. And these Keto Breakfast Cookies happen to be my absolute favorite out of the bunch. They are completely grain free, gluten free, sugar free and come together in just ONE bowl. One of the hardest things for most people when they are switching to a paleo, keto or low carb lifestyle is finding alternatives to snacks and desserts that fit into their new way of eating. 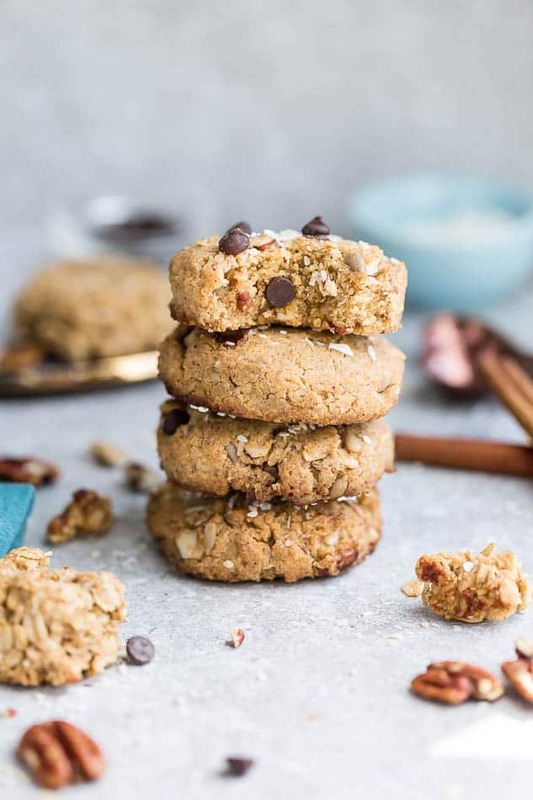 These Keto Breakfast Cookies are soft, chewy and make the perfect healthy treat to satisfy that classic oatmeal cookie craving. 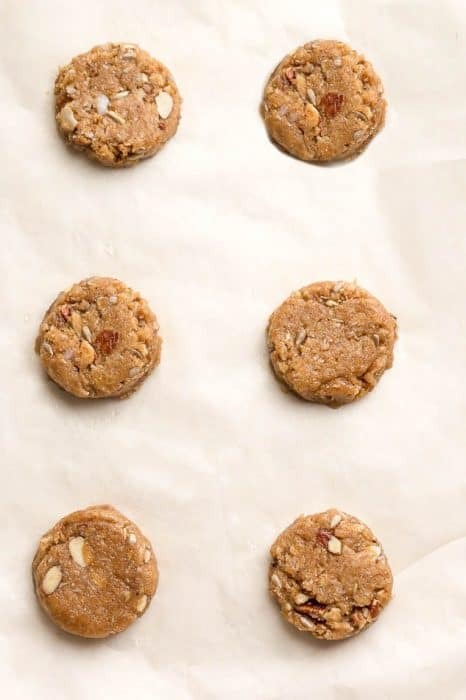 Plus, they’re paleo friendly and super simple to customize with your favorite nut or seed butter. And you can even make them ahead and freeze them for another day for that after lunch or dinner treat. You’re going to start by lining a large baking sheet with parchment paper. 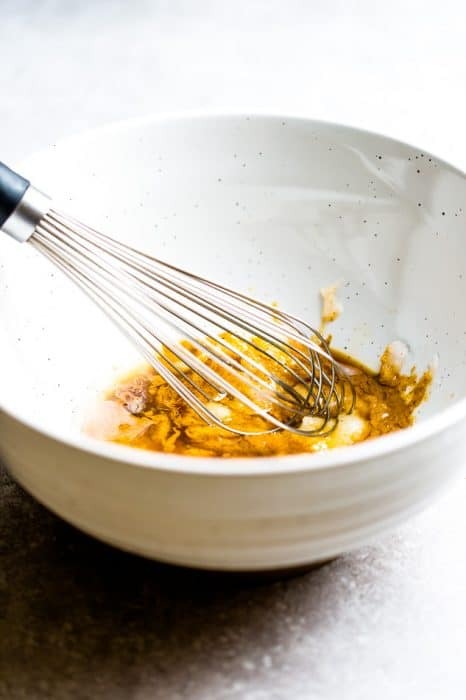 In a large bowl, whisk together the egg, almond butter and coconut oil until creamy. Add the monk fruit, vanilla, cinnamon, salt and baking powder and mix until combined. Stir in the almond flour, coconut flour and flaked coconut until everything is just combined. Fold in almonds, pecans, sunflower seeds and chopped chocolate (if desired). Scoop out 2 tablespoons of dough (for 12 smaller cookies) or a 1/4 cup of dough (for 6 larger cookies) and drop onto the parchment paper. Pat the tops down to flatten slightly. Sprinkle tops with sesame seeds and additional coconut flakes, if desired. At this point, you can also add some sugar free or paleo-friendly mini chocolate chips if you like. Bake in preheated oven for 12-15 minutes, or until golden brown on the edges and barely firm to the touch. (Do NOT overbake – cookies will firm up as they cool). Allow to cool on the cookie sheets completely before storing in an airtight container. Keto Breakfast Cookies are soft, chewy and make the perfect healthy breakfast for on the go. 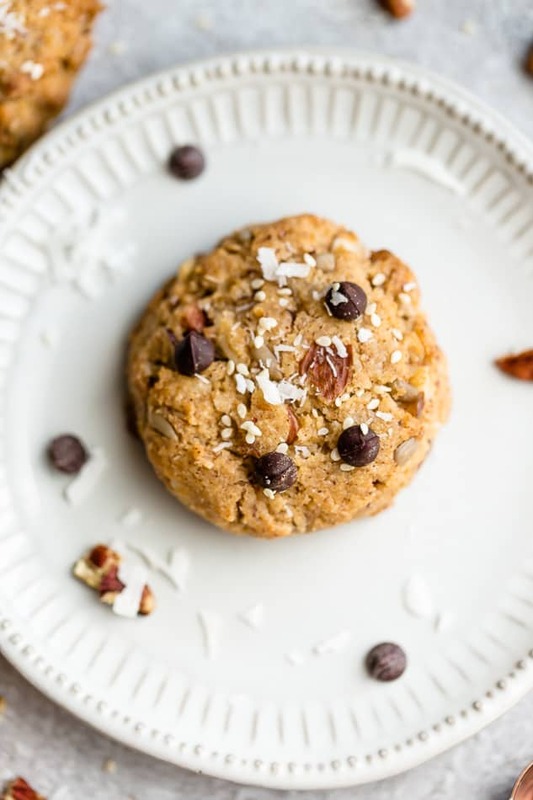 This delicious sugar free recipe comes together in only one bowl with almond flour, coconut flakes, sesame seeds and chopped nuts. Preheat oven to 350 F and line a baking sheet with parchment or a silicone liner. In a large bowl, whisk the egg, almond butter and coconut oil until creamy and smooth. Add the monk fruit, vanilla, cinnamon, salt and baking powder. Beat until combined. Stir in almond flour, coconut flour and shredded coconut until everything is just combined. Fold in sliced almonds, chopped pecans, sunflower seeds and chocolate chips (if using). Scoop out 2 tablespoon sized dough mounds (for smaller cookies - makes 12) OR 1/4 cup dough mounds (for larger cookies - makes 6) and place at least 1 inch apart on baking sheet. Flatten tops slightly with the back of the measuring cup or the bottom of a jar. Sprinkle tops with sesame seeds and more shredded coconut, for garnish, if desired. Bake in preheated oven for 12 to 15 minutes, until golden brown around the edges and just barely firm to the touch. Remove pan from oven and allow to cool on the cookie sheets completely. Cookies can be frozen in a large resealable bag up to 3 months. Free Low Carb / Keto Recipes E-Book! Sign up now to get a FREE low carb / Keto-friendly recipe e-book, plus access to subscriber exclusives! Yes, subscribe and get my freebie! As always, thank you for reading and supporting companies I partner with, which allows me to create more unique content and recipes for you. There are affiliate links in this post of which I receive a small commission. All opinions are always my own. Thank you for a beautiful breakfast cookies Made this tonight for my family and the kitchen smells divine. It tastes even better. Highly recommend your blog to everyone. 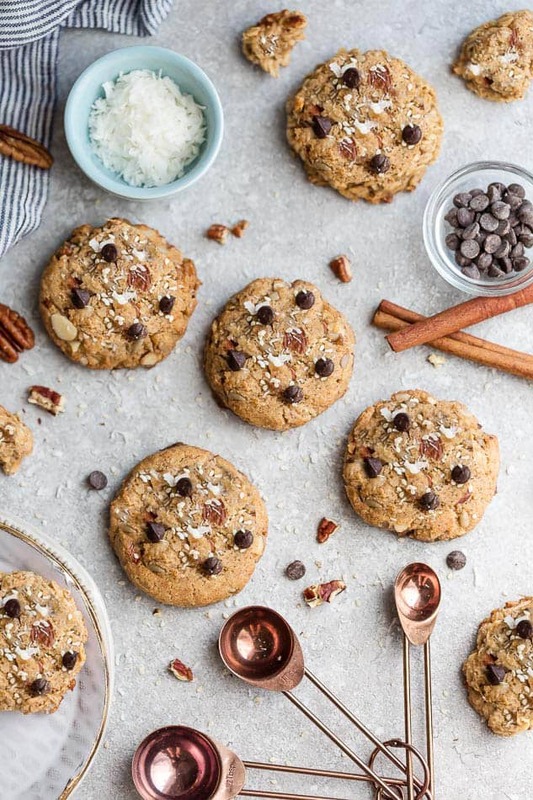 Especially this beautiful breakfast cookies really made our day. Made this for my kid’s tonight, they loved it. The taste is lovely and delicious. Cookies are delicious..Have tried making other recipes but these are hands down the best..made the six large ONES. Could you tell me the Net Carbs on one large cookie..Just started keto and trying to get the hang of it.. COPYRIGHT ©2019 Life Made Sweeter. Site By Pixel Me Designs.